Calling all Photographers and Artists. The holiday season may be past, but it’s never too early to think about getting involved in next season’s Christmas and Holiday Card campaign. A little later this year (but not too much later!) 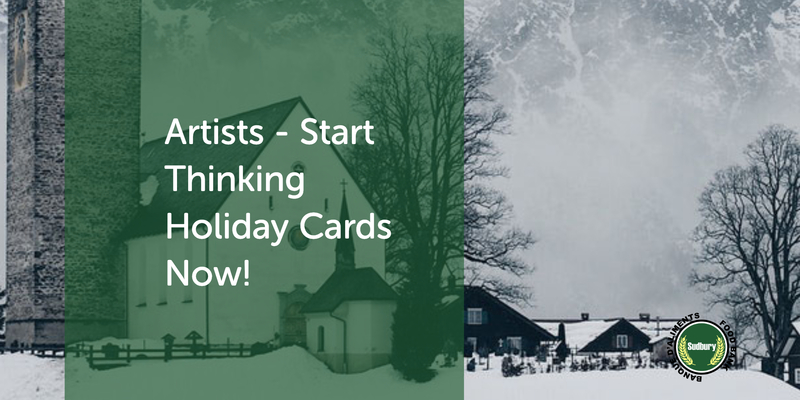 we’ll be officially putting out a call for submissions of art for our 2019 Christmas and Holiday Card Campaign. Christmas, Holiday and Winter themed art will be what we most hope to see, so it would be a lot easier to start creating some art (or curating some selections of your work from this past holiday season) to submit now, will the cold and snow are still with us. Keep an eye on our website for the official call for submissions, and we hope to see lots of wonderful art from our many local artists, both past contributors to the campaign and new artist friends, when the time comes.